To subtly augment the beauty of your home, Nilkamal brings to you the Big Stone Pebbles Jar, Gold. The Big Stone Pebbles Jar, Gold is a knick knack that will make your living room or any other place where you keep this pebble jar, look more attractive. 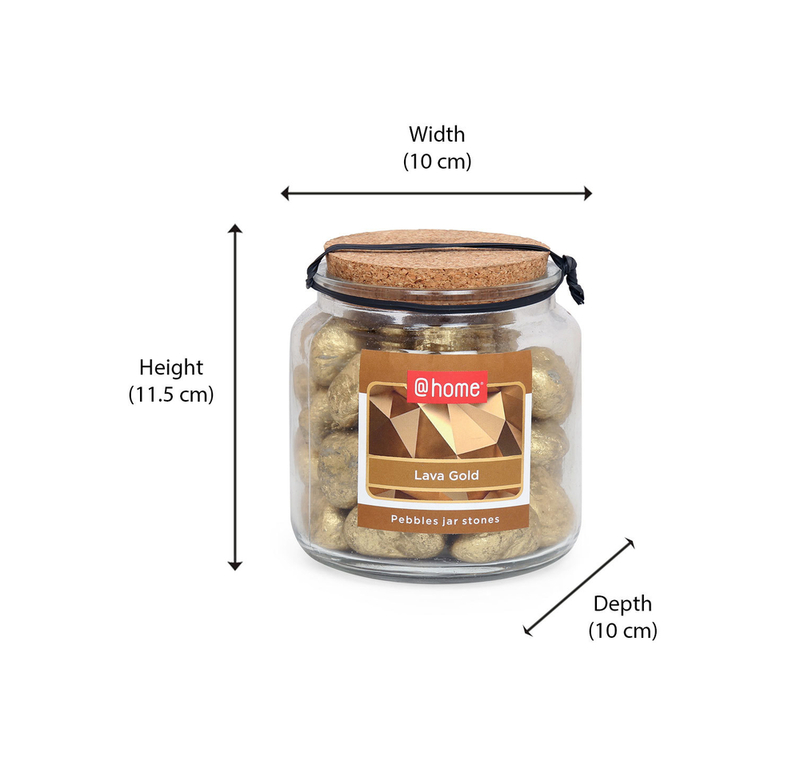 The Big Stone Pebble Jar, Gold package contains a mason jar made of clear glass, a cork and beautiful, big golden rocks with smooth, rounded edges. The glass mason jar measures 10 cm in width as well as in depth, and 11.5 cm in height. The package contains one glass jar filled to the brim with glittering gold rocks. Stones are said to be a symbol of luck, energy as well as longevity. They also represent solidity, stability and the essence of being grounded. Gold stones are known to help attain goals easily. The represent calmness, strength, and good luck. Gold stones are also known to protect from negative energy and negative powers. This Big Stones Pebble Jar, Gold will make a wonderful addition to your wall unit display case, or coffee table or book shelves. With this knick knack, your home will look more stylish and modern. Buy the Big Stone Pebbles Jar, Gold @home today.